A Birmingham MP is bidding to take charge of one of the most powerful Commons committees. Westminster is currently awash with election fever as back–bench MPs battle it out for the right to chair Commons committees. 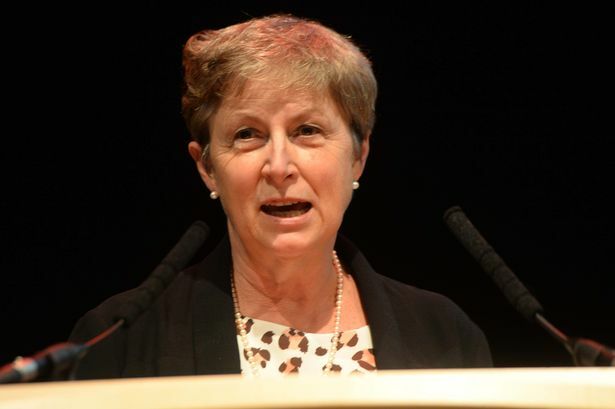 Edgbaston MP Gisela Stuart is one of a number of Midland MPs hoping to land an influential job leading a committee but, along with other hopefuls, she first needs to convince colleagues to vote for her in a secret ballot. The battle has become so fierce that one MP, Michael Fabricant (Con Lichfield), said on Twitter: "You can&apos;t see a colleague without being asked for votes." Mrs Stuart is competing with rivals for the post of chairman of the Public Accounts Committee which scrutinises public spending. She has vowed to lead a "crusade" to stop taxpayers&apos; money being wasted if she wins the election. And she said there must be more scrutiny of private firms paid by the Government to deliver services such as health or education to see whether they really did provide good value for money. The Public Accounts Committee was chaired by outspoken London MP Margaret Hodge from 2010 to 2015 when it had a reputation for producing highly critical reports revealing government waste or mismanagement of funds. In a statement asking MPs to support her bid for the post, Mrs Stuart said: "Following the tax payer&apos;s pound and making sure it is not wasted will be my crusade." She said she would focus on "greater scrutiny of independent providers and suppliers and contractors in our schools and hospitals and elsewhere, where private and third sector companies are contracted to deliver services using the taxpayers&apos; resources". She added: "Changes in the way education and the NHS are organised make these areas of increased priority." And Mrs Stuart also said she would look at the Government&apos;s plans to devolve funding to English regions such as the West Midlands. That includes ensuring money is spent wisely once it has been allocated but also that regions had the resources they needed to succeed, she said. Chancellor George Osborne has promised that "combined authorities" involving councils working together, such as a planned new authority for Birmingham, the Black Country, Solihull and Coventry, can have new powers and control over funding if they agree the new body should be led by a directly elected mayor. She said: "I am all for devolution. It is the right thing to do. But you have to do it in such a way that, when you do hand over money, it isn&apos;t wasted and also so that, when you hand over power, there is money that goes with it." But she faces competition for the post from two Labour MPs - North East MP Helen Goodman, a shadow work and pensions minister, and London MP Meg Hillier, who was briefly Shadow Secretary of State for Energy and Climate Change. The committee chairman will be chosen by MPs in a ballot on June 17. Other Midland MPs standing for senior Commons posts include West Bromwich West Labour MP Adrian Bailey, who is standing for chairman of the Business, Innovation and Skills Committee, which scrutinises the work of the Government department of the same name, led by business secretary Sajid Javid, MP for Bromsgrove. He chaired the committee before the election but now faces competition from two rival candidates for the job, both Labour MPs. Conservative Stratford MP Nadhim Zahawi is standing for chairman of the Foreign Affairs Committee which scrutinises the work of the Foreign Office. But other candidates for the post include fellow Midland MP Daniel Kawczynski, Conservative MP for Shrewsbury in Shropshire. Chairing a Commons committee is one way for a backbench MP to exercise significant influence in Parliament. Committee chairmen also receive an extra payment of £14,876 a year on top of the basic MP&apos;s salary of £67,060.